Eco-friendly and energy efficient remain the focus of data centers across the nation and around the world. Every step a facility takes towards improvement is a step towards reduced energy consumption and significant savings. Many facilities specifically choose to place their locations where the climate allows for natural cooling using outside air which lowers the use of air conditioning systems. 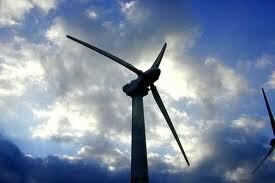 Now, many facilities are making a move toward using wind power. These locations are using utility power derived from wind generation. This form of renewable energy is eco-friendly because it is sustainable and dramatically reduces the need for other sources of utility power. In some cases, data centers are becoming 100% wind powered! There are some restrictions in place for businesses can source their wind power but this move is incredibly positive and will certainly become more and more popular over time. Facebook has utilized wind power for one previous location and has opted to design its newest facility to be 100% wind powered because they recognize that it is an inexpensive and effective form of clean energy. Fortune elaborates on Facebook’s latest undertaking, “Facebook announced on Tuesday that it’s building a large $1 billion data center in Ft. Worth, Texas. The facility, which is already under construction, will be Facebook’s fifth data center, and will be built on land purchased from a real estate company run by the eldest son of former Presidential candidate Ross Perot. The data center will use wind power from a large wind farm that is also under construction on 17,000 acres of land in Clay County about 90 miles from the data center. By agreeing to buy the power from the 200-megawatt wind farm, Facebook helped bring the clean power project onto the grid. A report issued earlier this month from the European Commission Joint Research Centre found that there were about 370 gigawatts of wind turbines installed by the end of 2014. One gigawatt is the equivalent to a large coal or natural gas plant… Facebook will presumably buy the wind power at a fixed low rate over several decades. If grid energy prices rise, the deal could actually save Facebook money on its energy bill.” Additionally, Data Center Knowledge notes that it is not just IT facilities that are making this move but customers as well, “Salesforce has contracted for 40 megawatts of wind power from a West Virginia wind farm, becoming the latest cloud giant to enter into a utility-scale renewable-energy purchase agreement… The purchase covers more capacity than all of the cloud-based business software giant’s servers consume in data centers that host them.” This shift in the industry shows that businesses, customers, and even employees are demanding more renewable energy sources for data centers and, in addition to being eco-friendly, they are significantly impacting company’s bottom lines. This entry was posted in Computer Room Design, Data Center Battery, Data Center Build, Data Center Construction, data center cooling, Data Center Design, Datacenter Design, Power Management, Uncategorized and tagged computer room construction, Data Center, data center build, Data Center Construction, data center design, Technology Industry, Uninterruptible Power Supply. Bookmark the permalink.